You need a web hosting account. Your image has to be uploaded and stored on that site FIRST. Using a link to the jpg, you can insert it into the body of your thread/post. 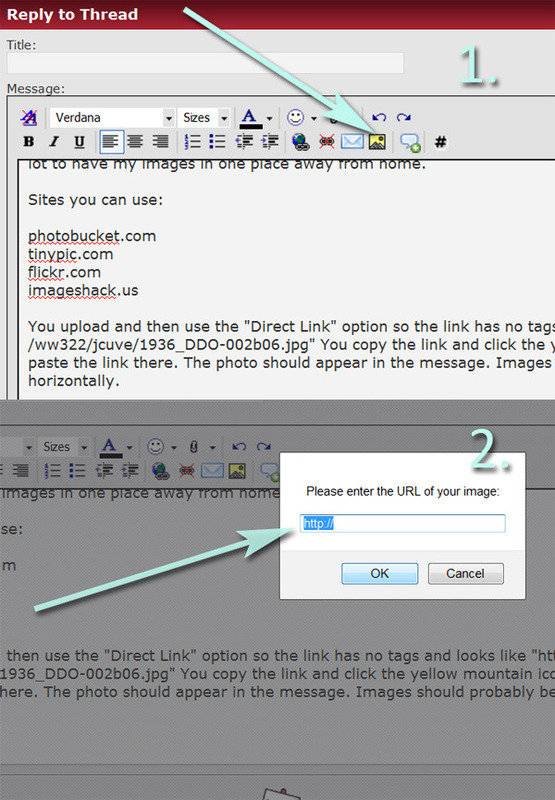 You can set up an account with Photobucket.com, tinypic.com or an equivalent site. You can also use your own server or website if you have one. Keep your images at 900 pixels across horizontally or smaller.